Emergency Dentists USA is proud to be able to provide you with a list of Scottsdale 24-hour emergency dentists in the area. We know how horrible tooth pain can be and you should not be made to simply live with it. Dental pain can cause you to miss out on your favorite social events or you may find yourself stuck in bed while everyone else enjoys a backyard BBQ. While you can try to ease the pain with Tylenol or Aleve, they simply will stop doing what it takes after a while and you will be left with pain that cannot be remedied. It is time for you to seek out the Scottsdale dental treatment you need. Before you try to learn to live with the pain, take just a moment and look below to find some of the best Scottsdale emergency dentists in the area. You can identify which ones are open all hours or after hours and then choose the one you like the best and call. Emergency dentists in Scottsdale are prepared to offer you with the best care. Once you know you need to see an emergency dentist in Scottsdale, you will be able to look for one near you. Most of the offices you will find are traditional dental offices and they are only open until 5:00 pm, Monday through Friday. This means that you may have to forgo the care you need until you can take time off work. Who wants to deal with dental pain that long? There are many dental options available to you in Scottsdale and you will be able to receive the care you need, when you need it. Emergency dentists can work quickly to alleviate the pain you feel and they have the tools available to perform all types of procedures. Scottsdale offers 24-hour emergency dental clinics, which allow you to receive care around the clock for your tooth pain. These dentists are used to seeing patients in their office all hours of the day and night and they can provide you with immediate care. In addition to 24-hour options, you will find after hours’ dentists in Scottsdale and these offices are open until about 10:00 pm. These after hour clinics are perfect for patients who need urgent tooth care, but it is not considered an emergency. If you have tooth pain, you may be wondering what you can do to make it go away. Unfortunately, it won’t. You can often mask the pain with a pain reliever, but the pain will just keep coming back again and again until you receive the procedure needed to eliminate the pain and correct the problem. While you sit in pain, you may be wondering where you can turn to find an emergency dentist in Scottsdale. Look below. We have created a list of local Scottsdale emergency dentists. All you must do is choose one and make an appointment. DescriptionThis palm-laden destination is where many come to polish up their golf skills, and get away to somewhere warm for the winter. During all of your excitement, you may actually encounter a severe dental emergency like an aching tooth, and when you pick up the phone and call our referral service right away, you can get linked up to someone that will get you feeling better in a snap. With same day appointments available, multiple financing options, accepting all major credit cards, and staying open weekends and evenings until 8 PM, this is an excellent place to come to make sure that the newest aching in your mouth won’t lead to infection. Many patients who visit a clinic will let you know by reviews if they feel that the service was truly great; and this practice has had many claim as such. There is nothing quite as harrowing as having a loved one tell you how worried they are about an aching tooth, and worrying about the funds to cover it; this practice vows to keep their costs low as well. If you are looking for help for your dental pain, then know that this urgent care clinic accommodates its patients as late as 10:00 pm. Dr. Steven Poulos is able to provide to those in need, dental emergency assistance and the kind of care you may need due to an unforseen dentistry hardship. If you are experiencing an untimely dental issue, then feel free to call. Telephone calls that are outside of the normal office hours will be forwarded to the dentist’s cell phone. Dr. Poulos achieved his Doctor of Dental Surgery from Creighton University. With his credentials as a Fellow of the Academy of General Dentistry, member of the American Dental Association, and in good standing with the Arizona Dental Board of Examiners, you will be in good hands at this high quality clinic which utilizes advanced technological dentistry equipment. For the many vacationers that pass through this city in search of warm weather and palm trees, Scottsdale can provide a definite escape from areas such as the northeast and midwest during winter months. The staff here always expects emergencies to come in as part of their daily clientele, and sets aside time every day for those experiencing dire pain. Just east of the 101, this clinic is in a location where all who are encountering the direst of dental pain can find it, and soon be on the way to a diagnosis that will alleviate the throbbing you are feeling now in your mouth. Now accepting patients for same-day care, this is yet another emergency clinic located in this very busy area that is dedicated to making sure patients leave the office in a state of much less pain, and knowing exactly what their dental health plan has in store for them in the future. The most skilled of dentists understand that when many patients come to see them they are already a little nervous, and this is understandable. Having the skills to make sure that anyone who comes in with severe pain feels welcome is a very commendable aspect of a practice, and Scottsdale Emergency Dentistry can help get you back to a pain-free existence. Description: Dr. Gore’s office is open the first 4 days of the week from 7AM until 4PM, and is a great local clinic to see when you have dental ailments in the family. The staff here will be happy to assist you if you have any anxiety around dentists, and has the years of experience to make your visit way above par. A great offering for clinics and a way that you can become pain-free and healthy, they are waiting for you to come in and schedule your much needed appointment. When you schedule an appointment to see a Scottsdale emergency dentist, you can expect the appointment and process to be just like a visit to your general dentist. You should inquire about the cost of the procedure before you go into the office so that you are prepared to pay for it. Most emergency dentists, like general dentists, will require payment for the services upfront or as soon as the procedure is done. Now is also a good time to inform the office about any dental insurance you may have so that they can bill you and the insurance company correctly. If you have never been to the emergency dentist in Scottsdale, you will be asked to fill out paperwork and this paperwork will take you a little bit of time, so do arrive about 10 to 15 minutes early. If you have been to the office before, you may be asked to simply update your contact information on file. Patients who suffer from allergies should inform the dentist and staff about them before the procedure begins to ensure your safety. In addition, you may want to inquire about your dental sedation options if you suffer from any form of dental anxiety. Are you experiencing a lot of tooth pain? Do you want to simply have your tooth pulled out? If so, now is the time that you call an experienced and professional Scottsdale emergency dentist. There are many dental emergencies that can arise in your mouth from a broken tooth to severe dental decay and even a dental abscess. Some of these issues form rapidly and others will take time to develop. It is time for you to seek out the treatment you need and avoid further problems by delaying your dental care. Dental emergencies need to be looked at by a trained professional and should not simply be left to remedy on their own. Emergency dentists in Scottsdale are prepared to look over your dental emergency and provide you with the treatment you need. 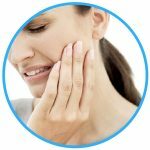 Reading any of the advice that is provided to you on emergencydentistsusa.com is not a substitute for professional medical advice and should not be used as such. The information on this site is for informational purposes only. If you are experiencing any of the dental emergencies below, call your local Scottsdale emergency dentist. A dental abscess is a serious condition and needs to be treated immediately. 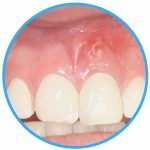 An abscess is an infection that starts in your mouth and is usually located between the teeth or near the root of the tooth. The abscess will appear as a pimple-like bump on the gums and it can cause a lot of pain. You should not touch the abscess, as this can lead to further pain or spread of the infection. Should you be experiencing pain, rinse your mouth out with a warm saltwater combination. If you have a dental abscess, call your local Scottsdale emergency dentist right now. It is possible to lose a crown from your mouth, especially if trauma has occurred to the site and caused it to become loose. If you have lost a crown, try your best to recover it. If you can recover the crown, you should clean the inside of it out and apply a dental cement inside and place the crown back over the tooth. If you cannot get the crown to go back over the tooth easily, then you should avoid forcing it on. You can apply clove oil directly to the tooth to alleviate discomfort. If you have lost your crown, you should call a local Scottsdale urgent care dentist today. 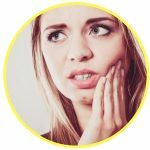 Toothaches can happen for a number of different reasons, but the most common reasons include an item stuck between the teeth or severe dental decay. If you think that you have an item stuck in your teeth, you should floss them to see if you can loosen and remove the item. You can rinse your mouth out with a warm saltwater solution and take an over-the-counter pain reliever to alleviate some of the discomfort you feel. You should call your local Scottsdale emergency dentist should you be in immense pain and need immediate attention for your tooth. Delayed care can cause the pain to intensify. If you have severe dental pain and head into your local Scottsdale emergency dental clinic, they may advise you that you need to have an emergency tooth extraction performed. In some cases, this can be avoided by having a crown placed on the tooth or the tooth filled, but these options do not always work. If you need to have an emergency extraction, you will be advised of the procedure and left to make the decision. A delay in care could mean that your condition becomes worse or dental decay spreads to nearby teeth. Patients who head to the emergency room for dental problems in Scottsdale has continued to rise over the last few years and this is in part to the patient not knowing where to go when they experience severe tooth pain. While the ER may seem like the right place, it is not and this is because the doctors on staff handle medical emergencies and not dental emergencies. When you head to the ER, your dental care may be delayed because the only thing they can do is provide you with medication to alleviate the pain. You should go to the ER when you suffer any type of trauma, have a broken jaw, or have been involved in an accident, even if your teeth are involved. Instead of the ER in a dental emergency, you should visit a local Scottsdale emergency dentist. You will be better served here and the dentist on staff will be able to tailor care to meet your needs. Emergency dentists operate around the clock to provide you with immediate relief. The Emergency Dentists USA portal is one that should be used for information only and should not be used to replace the advice from a medical professional. If you have a dental emergency and cannot reach an emergency dentist, you should call 911 to receive care. 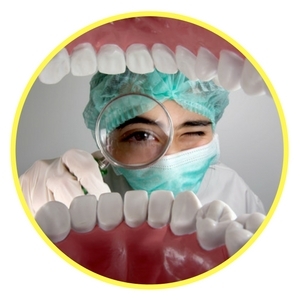 We do recommend that you always verify and check the credentials of any new dentist you plan to visit. 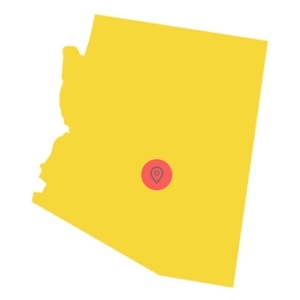 You can check out the local Arizona dental society or you can visit the Arizona State Board of Dental Examiners or the Arizona Dental Association.